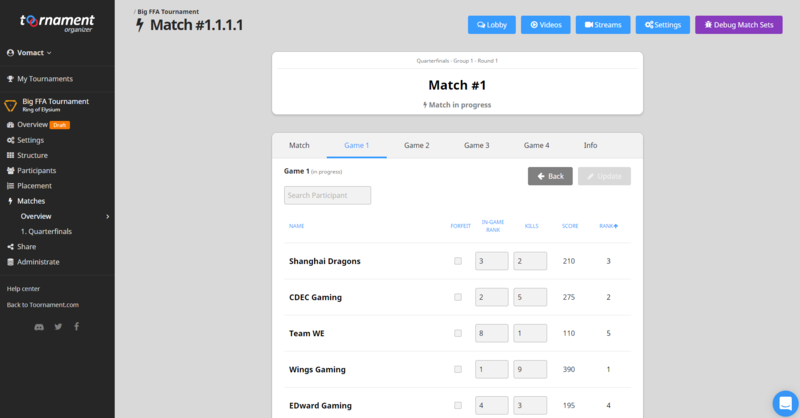 Create your Ring of Elysium (RoE) tournaments quickly and easily on Toornament by following these steps! Create a new tournament, with RoE as discipline. RoE comes with default Fixed Games (Advanced) settings, similar to other Battle Royale games. 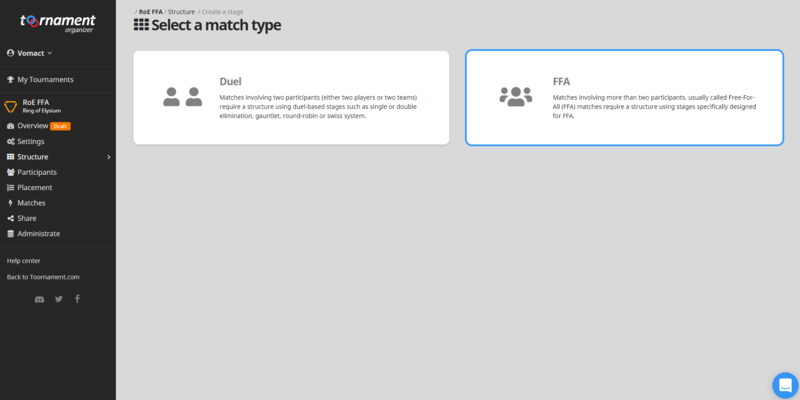 Head to "Settings" -> "Match" and verify they are what you need for your competition. You are going to need at least one FFA Stage, either a Simple Stage or Bracket-type FFA Stage to accommodate the players taking part in your matches. Go to the Structure menu and create a new one. Name your stage, set the number of participants and stage settings, and you are good to go!. 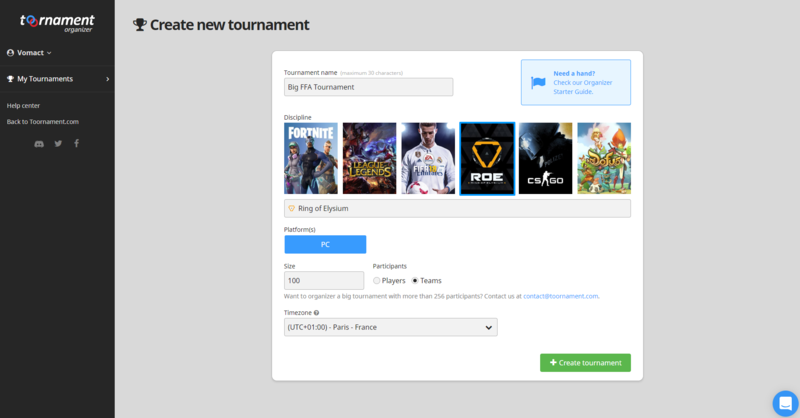 Publishing your tournament will have it appear on the Toornament website, and people will be able to find it to register! Your Ring of Elysium tournament is now on track!